Back in March, we shared news of new Monstarz 3.75″ scale figure releases coming from Amok Time. 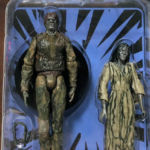 The pre-orders included Monstarz Creepshow “Something to Tide You Over” 3.75″ Scale Retro Action Figure 2-Pack (pre-order Here) and their ReAnimator Dr. Herbert West and Dr. Carl Hill 3.75″ Scale 2-Pack (pre-order Here). New final packaging images have been released, showcasing the production versions of the figures. The figures are scheduled for release in November. Each set is priced at $29.99. Click the headline of the story to check out the updated images. Amok Time has opened up pre-orders for a new addition to their Monstarz horror figure line up. 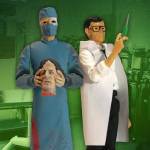 check out The ReAnimator Dr. Herbert West and Dr. Carl Hill 3.75″ Scale 2-Pack. Unlike many retro style figures from the line, these will be updated with a bit more articulation. Each figure has at least 7 points of articulation. Herbert West includes the Needle of Regent and a figure stand. Dr. Hill is a bit more feature rich. He includes interchangeable heads and hands and a figure stand. The set is priced at $29.99. It should ship out in November. See details below and some images after the jump. Dr. Herbert West in lab coat. Fantastically packaged in a retro styled card. Limited to only 1650 pcs!